Mexico made it to the Elite 8 in Raysox's Creamer Concept World Cup. I am stunned. That isn't me trying to be humble; that's me being legitimately surprised. I thought it was going to tank even as I submitted it. I was fairly confident the kits looked OK, but the crest is where I fell short, if you ask me. Despite Mexico getting out of the Round of 16 for the first time in six World Cups, I'm looking to figure out what worked for you and what didn't. Anyway, below is the official entry. Have at it. All C&C is welcome and appreciated. 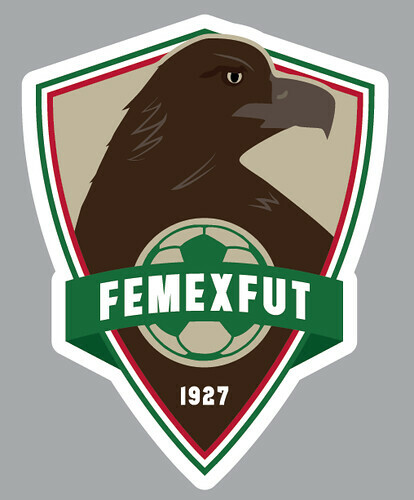 Here is Federación Mexicana de Fútbol Asociación (or FMF, or FEMEXFUT). 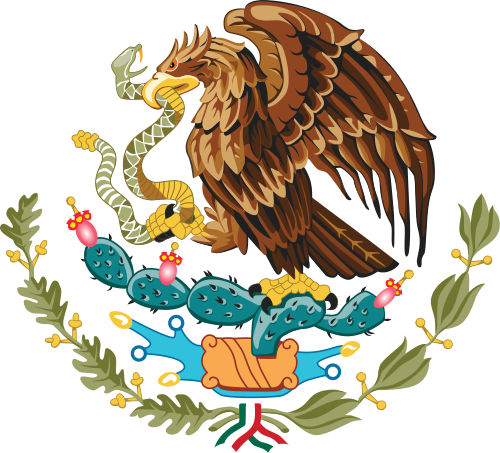 The more I looked at and researched Mexico and its crest, the more I came to appreciate it and all that was included in it. 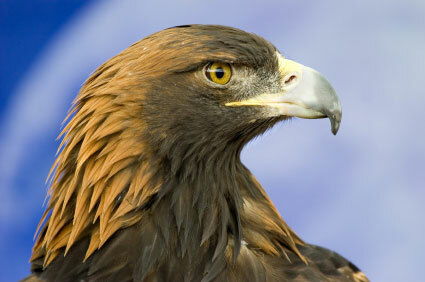 One thing I knew had to stay was the golden eagle, the national symbol of Mexico. Inspiration for the kits came from a portion of the original crest I left out: the Aztecs. 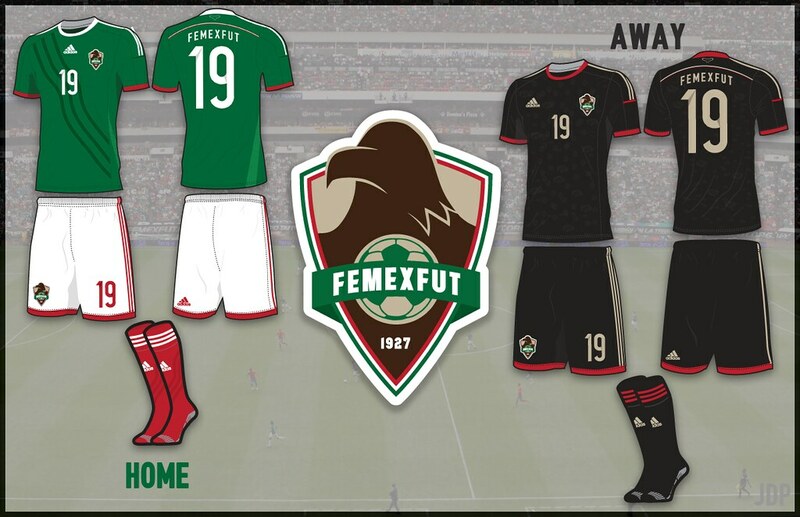 The waves (part of the Aztec symbol for "stone") on the home kit symbolize the stone on which Tenochtitlan was founded (this is also present in the Mexican coat of arms). The black away kit returns, but has sublimated jaguar spots, harkening back to Aztec jaguar warriors. Please, ban me from fantasy sports area. First, this template is awesome. I personally don't like the idea behind the home, but away is beautiful. Otherwise than it, is an adidas standard, and you've used it well. If I'm being perfectly honest, this entire concept is really great. 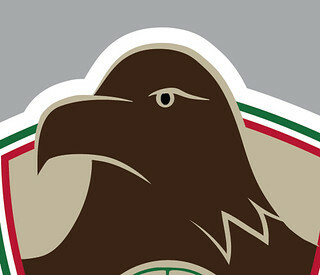 If there was a "weak" spot I would say that the eagle on the crest is a tad cartoony. Just note, when I say weak, I mean it was the one (extremely) minor detail that pushed Uruguay over the top. Yeah, I really liked this, voted for this over Uruguay and would have put it over South Korea. I think I would have went with Nigeria in the final, but I really like this. I vouched for this concept throughout the tourney, it was well done, with just a few things that could have made it better. I really like what you did with the kits, however I think the sash was a bit unnecessary on the home and I might have tried putting some red in the collar. The eagle on the crest is a bit cartoony and sort of gives me a communist Russia vibe based on the position of the head, but I like the idea of it. To me, the main reason why I voted for this concept in the first place was mostly based on the Away kit, those sublimated spots are just awesome. The color scheme is great of course, and there was no way I could allow such a well executed kit to wallow in the Round of 16. I suppose I will try to add some critique here as well. For the Home kit, the main problem I had with it is that it didn't seem like the waves translated well as a sash and that dark. They don't appear to have enough to them to be the center of attention and the numbers look off on them, maybe sublimated and in one of the corners would work better. I would also like to see how the wave moves onto the right side of the socks, whether it wraps around or is mirrored. 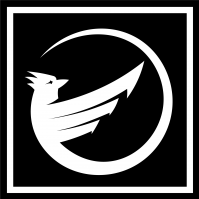 Finally for the crest, I like most of it aside from the eagle. The golden eagle of course is the major part of the Mexican crest identity and it is a beautiful animal, which is lost with its lack of detail in the crest. I would focus on adding more detail, even at the expense of simplicity, including eyes and adding more to the beak. This picture I think would be a great reference point, with the ridged feathers on the back of the head being a major striking feature as well. Personally, I would've put an I on the eagle. That would really complete an otherwise good crest. On the home I think you should put something to represent the eagle. I'm not sure how, but that would've been better than the claw mark (which isn't bad BTW). Thanks, everyone, for the comments. And thank you for the votes. There are a couple things I wanted to address, not necessarily in defense, but to clarify. The eagle - I, too, think it is cartoony. I was thinking I would get hammered for it looking too clip art-y, actually. As for the added detail Papadopolous suggests (thanks for the reference, also), I was torn initially so I went simple. I will take a stab at improving the eagle, as one person in the CCWC also said it looked more like a penguin. The three lines - They actually are supposed to be sublimated, but I guess I went too dark. Below is the inspiration (primarily the "stone" from which the cactus extends) and here's a little background. In short, the eagle, cactus, stone and water allude to the founding of Tenochtitlan. As for the template, that is my own. I am still trying to learn photorealistic techniques (see Nigeria in the CCWC), so, I admit, I find a photo of the kits and start tracing in Illustrator. It also doubles as extra practice with the pen tool. In this instance, I found separate images of the jersey, shorts and socks of Mexico's current WC kit. I try to do this for any of the concept contests I enter, just to lend a little more authenticity, using the same kit supplier and its respective apparel design/cut. I then add my own design. I don't know if any of that is too much "inside baseball" or if that practice is commonplace in the forum or if that makes anyone regret his or her vote, but that's how I do it... for now. This is my sentiment. The "cartooniness" of the eagle in the crest is what pushed it to 3rd in the group for me. The kits, though, were very VERY well done. I loved the sublimated pattern on the clash. I think a more refined look to the eagle would have seen you progress even farther in the competition. But well done and congrats on getting as far as you did. It's truly a great accomplishment given the quality of the concepts in that competition. Still a work in progress, but here's an update based on the reference from Papadopolous. Bump for comments on the update? Honestly, I liked the original better. The update seems to have too much detail, and the profile view of the eagle is kind of awkward. I like the silhouette better because it flows with the rest of the crest. I would consider using a silhouette of an eagle about to land on the ball with its wing spread. It keeps the logo symmetrical. As far as the kits, they were some of my favorite in the contest. I think the reason you didn't advance as far as you might have hoped is because they were too safe. You had a very simple logo and very simple kits. I think if you chose to add a little more flare to the design of your kits, people might have taken notice. For instance, on the home, even though made a nod to Aztec art and symbolism, I think it was a little to simple for some. You just went from a 7/10 to a 4/10. Personally, all you needed to do was put an eye on the first one. Oof. I'll add just an eye. Adding this eye is killing me; I just can't get it to look right. Here's the update... and I use that term very loosely. Suggestions, please.